This loss was a residential fire. The bathroom was stripped down to the studs during the mitigation phase. This one piece tub/shower combo proved to be a challenge to set as navigating the stairways and bathroom entrance required the detach and reset of several non-load bearing studs. If the drywall associated with the stairs, hallway, and bathroom had not already been removed, then placing a one piece tub/shower surround would not have been feasible. Both from an aesthetics and moisture barrier perspective, the Policyholder remained adamant that they were not keen to approve a three piece assembly. 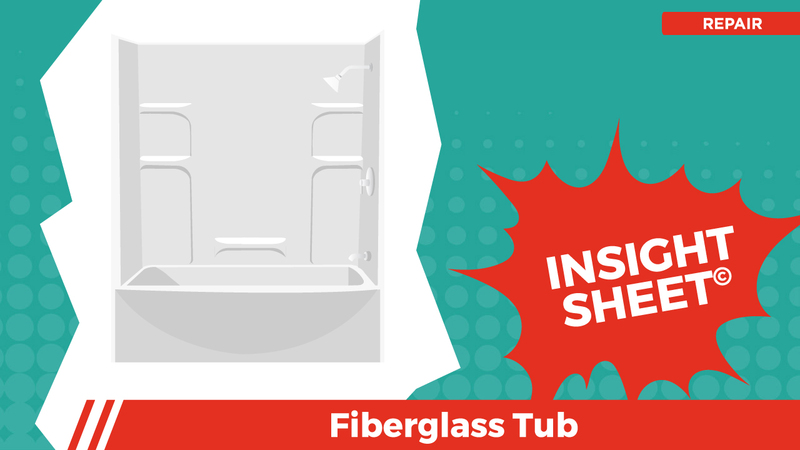 The tub/shower surround incorporated a shower curtain and rod assembly. 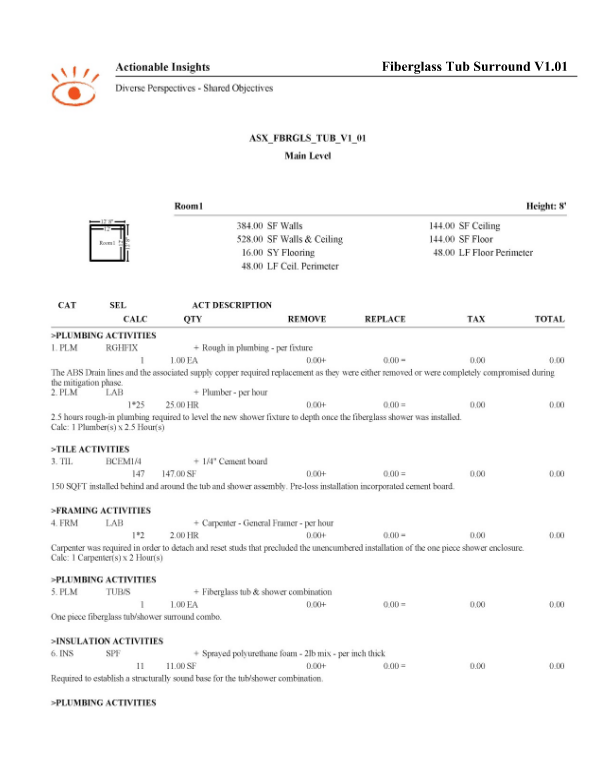 This Insight Sheet(C) exists to clarify how one might invoice for the installation of a fiberglass tub/shower combo unit. This does not seek to include or make concessions for all equipment and/or activities as it relates to a loss of this nature.